As a Volkswagen owner, you know the value that your vehicle offers is unmatched. Your Volkswagen does everything you want it to. From its reliable performance, to its simplistic design, to its precision manufacturing, the Volkswagen was surely built to last. When you’re behind the wheel, your VW sets you apart from the rest of the pack. Volkswagen vehicles are built with their owners in mind. In fact, Volkswagen actually means the “people’s car” in German. In order for your Volkswagen to continue to be the quality automobile that you count on, you know you need to find the trusted dealership alternative–Rizzoli’s Automotive. Rizzoli’s Automotive in San Luis Obispo, CA is the go-to shop to handle all of your Volkswagen repair and Volkswagen services. We’d like to introduce you to the VW repair specialists at Rizzoli’s to show you how keep your VW road-ready at all times. Start here, with a quality preventative maintenance service plan that includes quality oil changes, tune-ups, fluid services, filter changes, engine diagnostics, tire services, maintenance inspections, and more. Our Volkswagen repair experts are thoroughly experienced and well-trained at performing all the necessary Volkswagen repair services. You now have a VW service facility that you can trust! Keep your VW in excellent condition by adhering to an appropriate service plan. The goal is to enhance your Volkswagen’s road performance and extend its road-life. Get everything you expect out of your VW. Our ASE Certified Technicians have undergone specialized VW service and repair training. They utilize state-of-the-art equipment and factory-grade Volkswagen parts to provide VW repair and maintenance services on all models of Volkswagen vehicles. 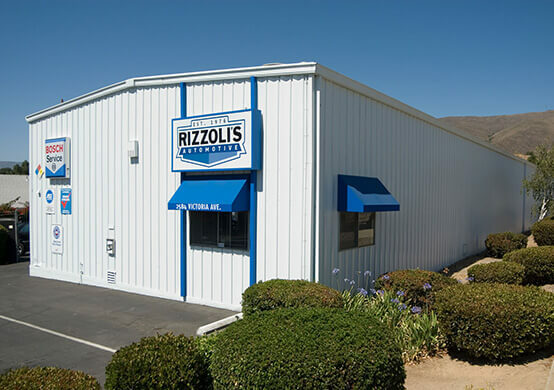 Everyone at Rizzoli’s Automotive in San Luis Obispo is focused on keeping you and your family safe on the road! In addition, our VW services are backed by a 36 month / 36,000 Miles Triple Coverage Nationwide Warranty on parts and labor. We also offer a 28 or 60+ point reliability inspection and hand car wash; free with most Volkswagen services! So next time you find that you need VW repair in San Luis Obispo, we will be here for you. 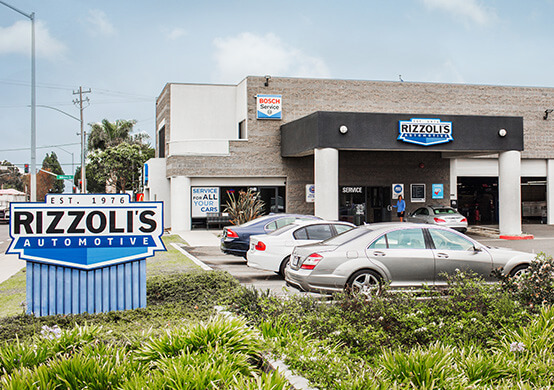 From a simple oil change to a complex engine repair, the Volkswagen repair specialists at Rizzoli’s Automotive can handle it with superior expertise! We always stand by our promise: We’ll perform your VW repair in San Luis Obispo, CA right the first time, on time and on budget, because we service your Volkswagen with the care and passion as if it were our own. Give us a call today at 805-541-1082 or schedule your appointment online and we’ll get you back on the road in no time.